Answer: Nope. Google search is alive and well, thank you very much. In fact, we’re huge Google fans here at StubGroup, and not just because Google ranks our agency in the top 3% of Google’s Partners based on the performance we deliver our clients. But life is all about change, and today’s no-brainer advertising platforms — like Google search — will remain preeminent only as long as the market allows. With that in mind, check out these three fascinating facts from Nielsen and Euclid Analytics* that every advertiser/business should know about the coming changes in America’s next generation of consumers: Generation Z. 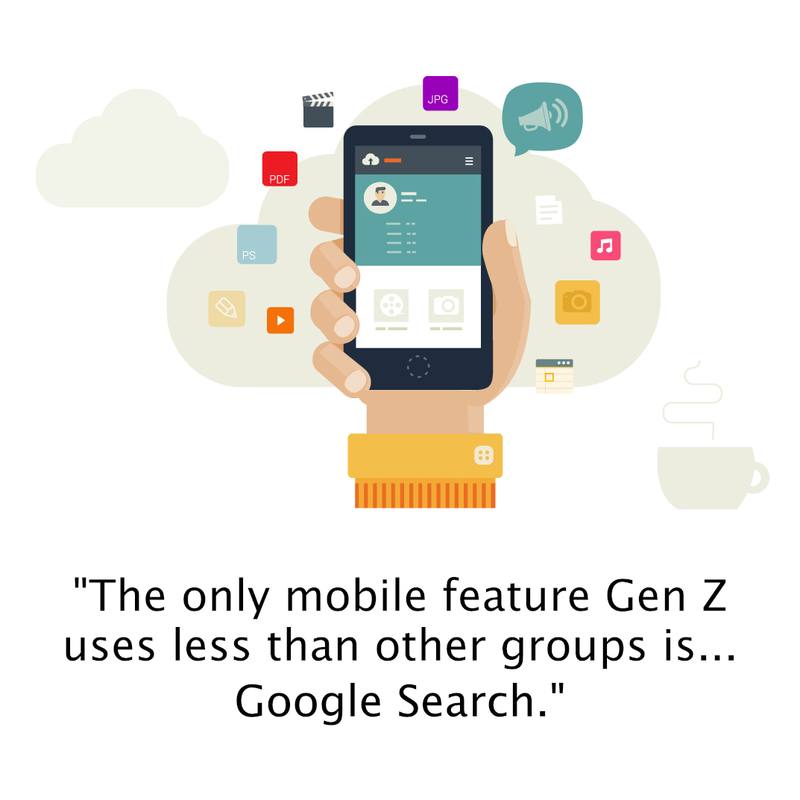 In that same survey, the only mobile feature that Gen Z respondents reported using less than other generational groups was. . . Google search (and the subject line loop is closed — mic drop). These facts are an important reminder that, as advertisers, we are constantly chasing after audiences that are perpetually changing. Our ideal customers get older, from new media consumption habits, make buying decisions in our stores using competitors’ apps, and just generally play hard to get as they chase after solutions to their own problems — hopefully the solutions we’re trying to provide them. But the nascent history and incredible success of PPC advertising itself is proof that we have to be willing to adapt and to embrace new marketing opportunities. To put it another way, if your ad budget is still primarily focused on newspapers and the Yellow Pages, then you’re probably already out of business. So, continue using the advertising methods that work well for your business, whether that be Google AdWords, Facebook Ads, etc. Just make sure you’re always looking for and testing new advertising channels and platforms you haven’t tried before. Take it from history: Proactive change is almost always more enjoyable and profitable than a forced transformation.